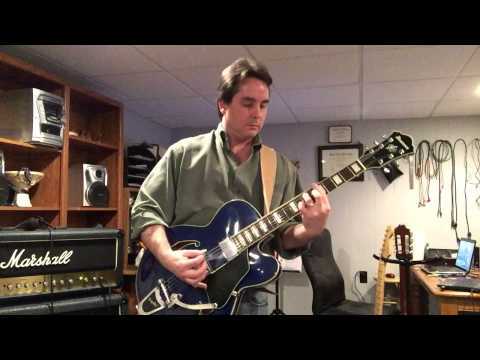 I teach all styles of guitar, as I have been in many different types of music situations: Soloist (Classical) Ensemble (Classical and Jazz) Lead and Rhythm (Various Rock and Roll bands) Songwriting and Recording. I am a people person that learned the guitar from many different sources. Most of my learning came from watching others and communicating with others. I like to learn about the people I am teaching so that I can better understand their needs as a musician. My education came as a practical necessity in order to get better as a teacher and performer, as well as make a living doing it. But, by no means do I preach the need to be "educated" but only to be a working, practical musician. I will surely go over the need to read music once the need becomes evident, enlighten you as to why it may be important to understand certain aspects of music as opposed to just "picking and grinning", IE learning only "By Ear." I do specialize in music theory, and have many students taking lessons simply for this excellent foundation for songwriting also. I have been teaching music full time for over 25 years. Here's "Sleepwalk" this is the Famous Santo and Johnny version played in Rock-a-Billy style. Friendly, motivating, honest and awesome guy. Mark was very patient, professional as well as being knowledgeable about the guitar. I was impressed with the way he presented the information of his learning technique. Marc knows music by notes as well as play by ear. I would recommend him to for anyone of all levels of experience that want to learn or enhance their level of guitar. Well, for starters, Marc is a great teacher (and all around great guy). My decision to choose Marc was solely based on his student's reviews. Do yourself a favor and look no further. If you really want to learn and quickly absorb the lessons, choose Marc. I'm learning quite a bit and although I thought that I'd be struggling, I'm picking up things rather quickly due to his style of teaching/explaining. Today we worked through the middle section of Malaguena - Mark was very patient in explaining every note. 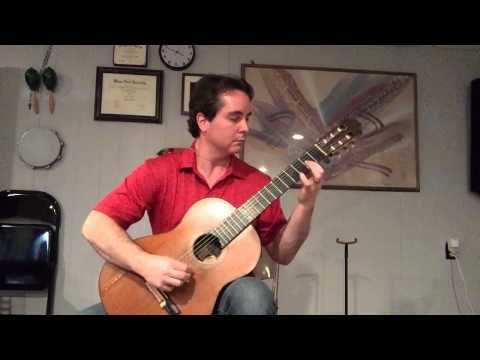 Great lesson - learned the opening phrase of Malaguena and a bit of rasgueado. Very nice lesson - we went over the chords of "Margaritaville" plus a scale exercise. Marc is also very receptive to songs I would like to learn to play and help with them. I've been taking lessons from Marc for over a year. He's top notch. Great teacher no matter what your skill level is. I was a total beginner and have learned a ton from him. He is very patient and easy going so it's a very comfortable environment. I would highly recommend him for whatever you're guitar learning needs are. knowledge, while designing lessons to meet my goals and interests. Very good first lesson. Marc was great and already started to answer some of my questions and fill in some of my knowledge gaps. I'm looking forward to my future lessons. Marc has sparked an interest in guitar I never thought I had. Every lesson I come to is catered to my individual aspects of improvement. Marc is a great teacher- skillful, patient and fun. I like Mark a lot even though I just had my first class with him. Great great teacher - very patient and be able to teach and inspire me both on skills and spirit of the instrument. Marc is very patient and quickly graps the student's ability to progress to the next step or still needs additional time. He relates well (student is 13 and new to guitar) and has no problem in finding interesting music or ways to integrate practice into the style of music the student is interested in. Marc is a great teacher - he is very adaptable and understands every students' needs. He caters his lessons towards what you want to learn, but also gives you a very solid overall background on guitar. I play piano, and Marc was able to take what I know about piano and relate it to guitar. As a person, Marc is very kind and approachable. I would highly recommend Marc to anybody looking for guitar lessons at any level. My daughters teacher was very patient, encouraging and accommodating. he was up to date on her style of music and helpful in getting her to select the type of music and guitar she wanted to learn. As a 40 year old just deciding to play guitar I was quite intimidated to get started. From the first lesson Marc made me feel very comfortable. He does a fantastic job of customizing the lesson to your interests as well as targeting area's for improvement to help you reach the goals you've set. He is patient and encouraging and is very effective at helping you to understand the learning timeline to keep you interested and motivated. I would highly recommend Marc to anyone beginner or advanced, he does a phenomenal job. Great lesson. Can't be better. Marc is very patient and encouraging. I am in my 40's and just starting to learn to play. Marc has been the best. He can easily break down the lessons in language that I can understand and he is incredibly patient. He makes it so that I am learning techniques when I don't even know that I am. I cannot say enough great things about Marc. If you are looking for a guitar teacher, this is the guy you want to come too. Marc is very patient. There were times I didn't have time to practice between lessons and he was still able to find something we could work on during our lesson that would help me. He gave me great insight on what/how to practice and incorporate what I learned to help my progress, even on my tight schedule. Marc is wonderful with my enthusiastic 8 year old son. From our first contact with him, he freely gave advice for beginners as we looked for an instrument and continued to help us with everything we needed to know. He was always encouraging and inclusive with the planned jam sessions. The lessons were the perfect balance of a fun hang-out vibe and focus on technique... and a little gum bribe :)... whatever works! We were very lucky to find such a great teacher. Whatever you need in the six string, guitar arena - Marc delivers! From rock to classical; from insights on music theory to quick and easy/just play around the camp fire type chords. Whatever level of interest you have, genre or style you want to play, Marc is the teacher you are looking for! I took lessons with Marc over the summer, and it could not have been a better experience. On top of being an amazing teacher (for someone with no prior skill), he was also very considerate, made the lessons extremely enjoyable, and was really flexible anytime I needed to change plans. I would definitely recommend him to anyone, especially if you are just starting out!! Marc and his teaching technique have become the highlight of the week. Step by step, my understanding of music and the guitar is growing. And, just as importantly, my playing has begun to improve. My daughter Hailee has only had 3 lessons with Marc but has had an excellent experience with him. Hailee went to Marc with no musical experience at all and with Marc's patience and encouragement, she has been doing wonderful and has learned so much in just those 3 lessons. Excellent teacher no matter what your experience level!! Marc is an excellent instructor. I am a beginner player. He has been patient, encouraging and supportive. He tailors his instruction program to what I want to achieve and my personal playing interests. I highly recomment Marc to anyone of any playing level. As a student who has never had any musical training whatsoever, I appreciate Marc's patience in teaching me how to play the guitar and read sheet music. He's keeping things simple and easy to understand, as well as going at a pace that's comfortable to me. I look forward to my lesson each week. I highly recommend him to anyone looking for guitar lessons.